We work alongside communities to explore clothes making and mending as a means to encourage and support individual and community empowerment. We're excited to announce we now have MEND in the East End. The next one will happen Late March 2019, 6.30pm - 8.30pm, we'll let you know when and where as soon as we know. MEND is an opportunity in a friendly space where you'll learn to mend clothes. 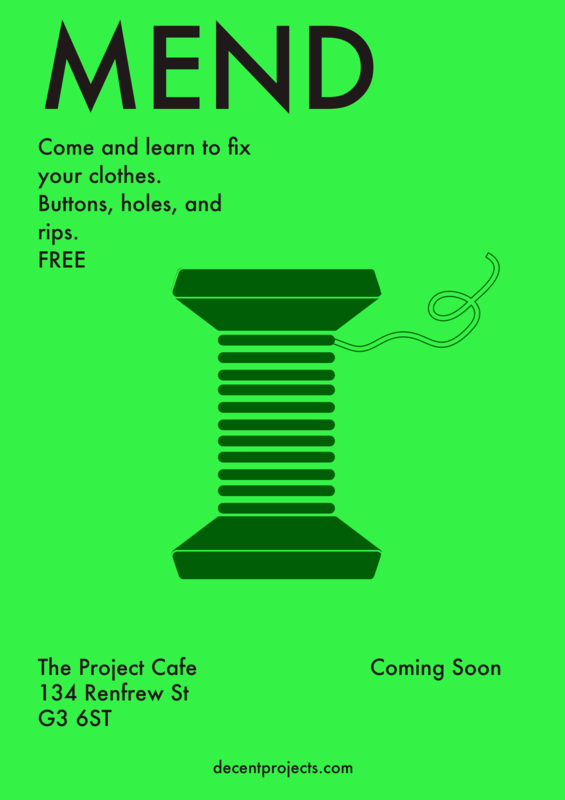 Too many mendable clothes are thrown away, so come along and prolong the life of your favourite jumper. From patching jeans, to raising hems, the team will guide, assist and provide all tools and materials. 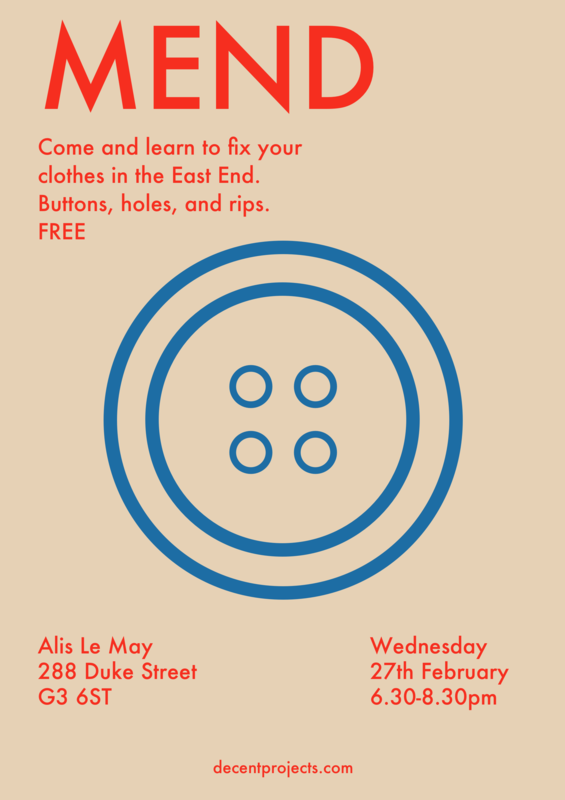 MEND will be an evening of mending, meeting and sharing skills. Our next Central MEND will be in early 2019, at The Project Cafe, Glasgow. This MEND runs in the evening and is a great chance to get Mending from our Central location.